Boeckmans is active in the project scene as agents, ship broker and operator/owner. 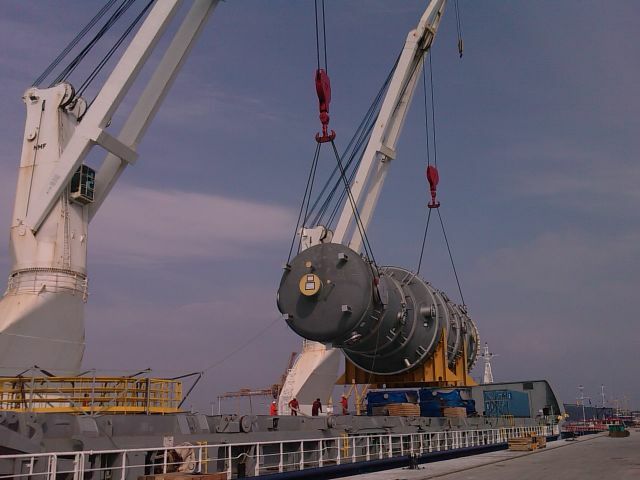 Boeckmans has a long standing relation and reputation with project and heavy lift carriers, as well as on the liner business and the charter market. “One stop” solutions worldwide for project/heavy lift shipments, matching the right carrier to the cargo. Project solutions for cargoes ex Antwerp and Rotterdam with our extensive list of agency liner representations. Local ship agency services including handling of projects, with local know-how on the customs of the port. Boeckmans can also advise an offer for pré-carriage, on-carriage, hook, liner, lashing etc… of break bulk cargoes. Chartering solutions for heavy pieces and project cargoes such as dismantled cranes, trafos, yankee dryers, cement mills, windmills. Coastal custom made solution with own tonnage as disponant owner.